Sealing urushi, thin kiurushi used. This teapot arrived already fixed but leaking. 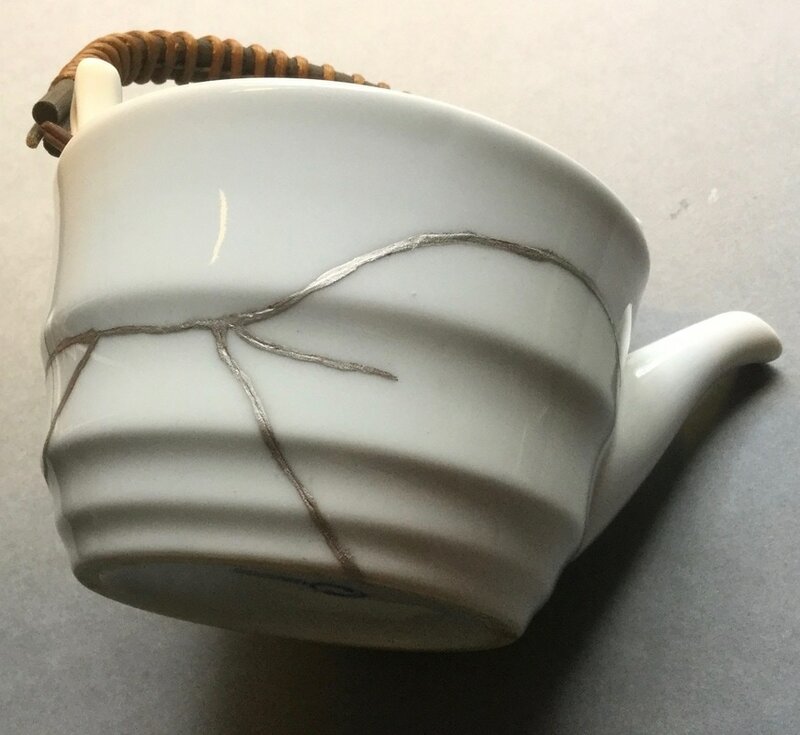 I sealed with diluted urushi with turpentine leaving for a day but it still leaked a lot, so in this case I needed to use putty to fill the cracks inside and out as necessary until all leaks stopped. ​Then I sealed with urushi again. I removed excess urushi carefully with a craft knife. Silver leaf powder finish with sealing urushi, thin Isehaya used. ​​Finally after a couple more layers of pigmented urushi I applied silver followed by fine quality urushi and then polished. Here I used black urushi for the base coats. For the final visible coat I chose fine quality urushi called Isehaya Urushi.